Welcome to this year's 38th issue of DistroWatch Weekly! 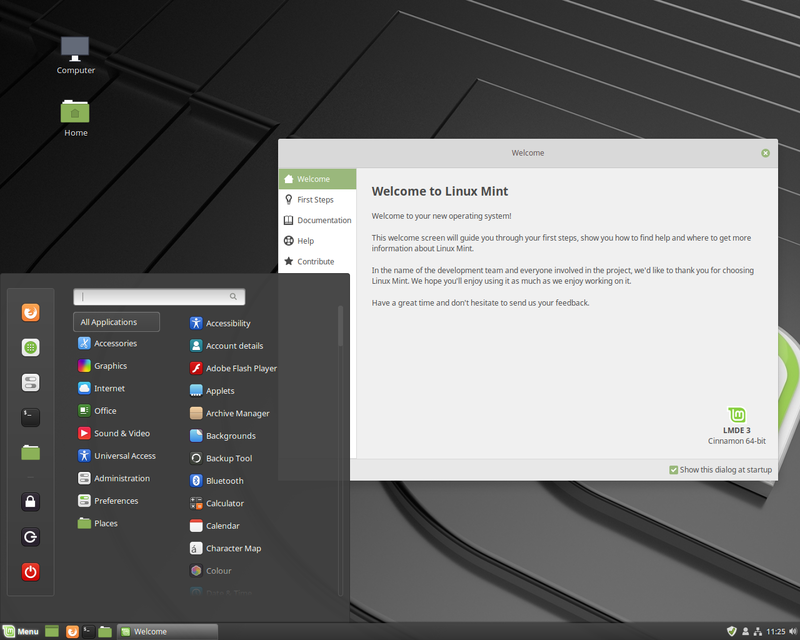 A few weeks ago the Linux Mint team launched the third version of Linux Mint Debian Edition, an alternative branch of the Mint project which features the Cinnamon desktop environment. A recent poll of DistroWatch readers showed an interest in hearing about this alternative branch of Mint and how it compares to Mint's main, Ubuntu-based distribution. Jesse Smith covers the latest Debian-based flavour of Mint in this week's Feature Story and reports on its various differences from the main edition. In our News section we share a link to a discussion with members of the Arch Linux team and share a tip on how to stop programs from pestering the user for a keyring password. We also cover the MX team making it easier to install Flatpak packages and changes coming to Mageia. Then we explore the topic of solid state drives (SSDs) and how to select an appropriate file system for a new drive. In our Opinion Poll this week we ask whether our readers are using solid state storage devices and, if so, which file system you are using. Plus we are pleased we share the releases of the past week and provide a list of the torrents we are seeding. Finally, we would like to thank Muhterem Demiray for helping us update our Turkish translation for pages and menus. We wish you all a fantastic week and happy reading! The Linux Mint project maintains two branches. 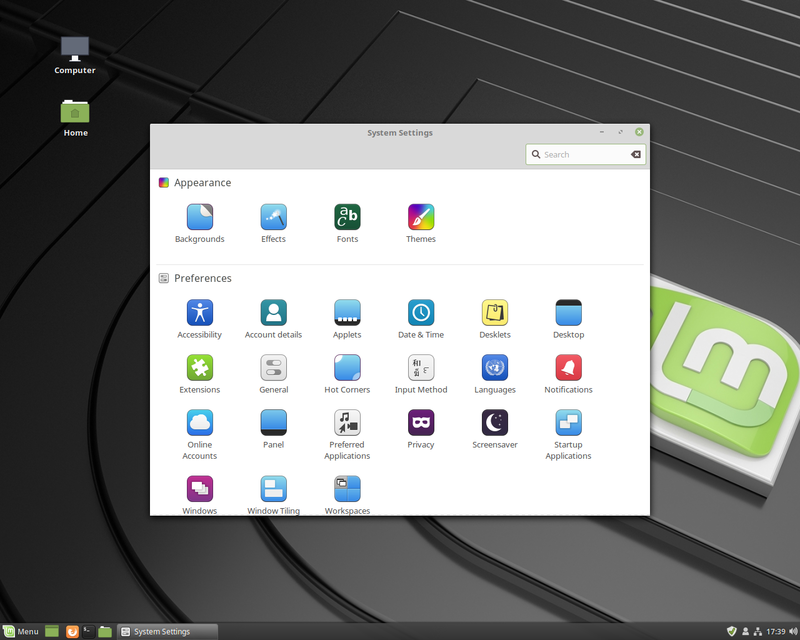 The main edition is based on Ubuntu LTS releases while the alternative branch is based on Debian Stable and is appropriately named Linux Mint Debian Edition (LMDE). The Mint team has published version 3 of their Debian-based branch, which uses Debian 9 as a base. While LMDE features most of the same tools and customisations as the Ubuntu branch, there are a few key differences. Apart from having a different parent distribution, LMDE 3 is available in just one edition featuring the Cinnamon desktop environment. The Ubuntu branch offers three editions: Cinnamon, MATE and Xfce. Both branches offer 32-bit and 64-bit builds. The ISO for the 64-bit build of LMDE 3 is 1.6GB in size. Booting from the live media loads the Cinnamon desktop. Icons on the desktop will open the distribution's file manager and the system installer. 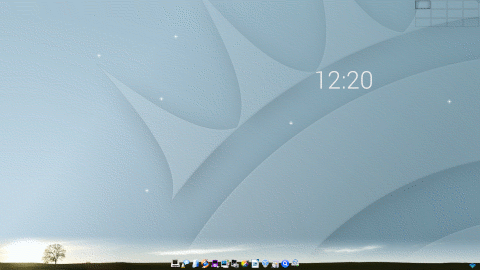 A panel at the bottom of the desktop houses the application menu, a few quick-launch buttons for popular applications, and the system tray. Once I had confirmed the distribution appeared to be working properly with my hardware, I launched the installer. Mint's Debian Edition uses its own custom system installer. The installer is a graphical application which bears a resemblance to Ubuntu's Ubiquity or the distro-neutral Calamares installer. We are asked to select our preferred language from a list and our time zone from a map. We can then select our keyboard's layout, and create a username and password for ourselves. The partitioning section comes next with the installer automatically suggesting a layout with a swap partition and ext4 root partition. We can customize our disk's layout by clicking a button that launches the GParted partition manager. Once we have divided up our disk and assigned mount points to each partition, we are asked if we would like to install the GRUB boot loader and, if so, where. The installer then copies its packages to our hard drive and offers to restart the computer. I found the installer easy to navigate and ran into no problems while using it. LMDE boots to a login screen where we can sign into the Cinnamon desktop. Upon signing in, a welcome screen appears. This screen provides us with links to on-line documentation and support resources, such as Mint's user forums and IRC chat room. The welcome screen also includes a page with buttons that will open tools that we will find useful early on. These buttons will open the Timeshift snapshot utility, launch the distribution's update manager, launch the software manager, open the system settings panel and install media codecs. I tested each of these quick-access buttons and found they all worked as expected. I talked about Timeshift back in July when I reviewed Linux Lite and Mint's main edition, but I think it is worth talking about again. Timeshift is a graphical tool which assists us in creating snapshots of the operating system. Snapshots can be created using the rsync utility or file system snapshots, if we have installed the distribution on a Btrfs volume. Snapshots contain a copy of our operating system, allowing us to revert any changes which break the system, such as a bad software update or configuration change. Timeshift has a configuration wizard that assists us in setting up scheduled snapshots with just a few mouse clicks and it does its own automatic house cleaning to avoid using up too much disk space. Snapshots are stored locally and Timeshift cannot copy snapshots to another computer on its own, but we can access snapshots and copy them to a remote location ourselves. By default our users' files are not included in snapshots, Timeshift concerns itself with the operating system rather than with our data files. To create archives of our users' files there is a separate utility called mintBackup. Using mintBackup we can create tarball archives of our files with just three clicks. Backup archives are also stored locally, but we can copy them to a removable drive or another computer later if we wish. Mint's update manager changed this year. When updates are available an icon in the system tray lets us know. Clicking the icon opens a window with the available package upgrades listed. In the past the update tool would rank updates using a safety rating and we could choose to automatically select all updates, or just ones with a suitable safety rating. These days all updates are selected by default with the idea that if something goes wrong, we can fix the system using Timeshift. In fact, the update manager will suggest we run Timeshift to set up snapshots if we have not done so prior to running the update utility. There were just a few updates available during the days I was running LMDE and these all downloaded and installed without any problems. When I tried running LMDE in a VirtualBox virtual machine I found the operating system did not integrate with the host environment. There is a paragraph on fixing this in the project's release notes. I followed the instructions and was then able to make full use of my host computer's screen resolution. The Cinnamon desktop remained sluggish in VirtualBox as Cinnamon wants to make use of the video hardware to boost performance. I was able to improve the situation somewhat by disabling visual effects and this made Cinnamon usable, but still a little slow to respond. When running LMDE on a desktop computer, all of my system's hardware was properly detected and used. 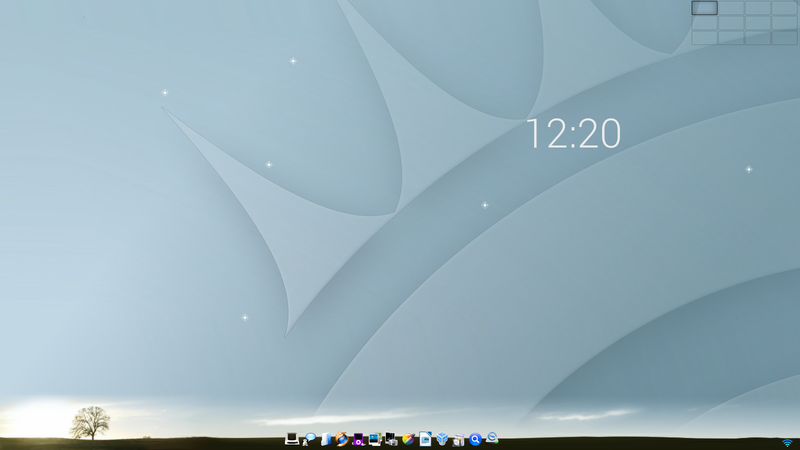 The Cinnamon desktop performed well and was responsive when running directly on physical hardware. In either test environment the distribution was stable and I encountered no crashes. A fresh install of LMDE used 4.8GB of disk space, though this tended to balloon when I enabled Timeshift snapshots on the ext4 file system. (Using Timeshift with Btrfs snapshots uses much less disk space.) The distribution used 525MB of memory when I first started using it, 30MB of that was consumed by the welcome window and could be reclaimed when the welcome screen was dismissed. The distribution ships with two graphical software managers, which pull most of their software from Debian repositories, but also grab software from custom Mint repositories. Most people will probably make use of mintInstall, a modern-looking software manager that begins by showing a collection of popular applications (called editor's picks) and a list of categories. We can then browse for items by running searches or by looking through the provided categories. Each available application is listed along with its icon, name and a short description. Clicking an item brings up a full page description with screen shots. Programs can be installed or removed with the click of a button. mintInstall has one category specifically for Flatpak packages - portable bundles that are often provided by upstream publishers. These bundles often provide access to proprietary software or newer versions of open source applications not available in the distribution's repositories. Having access to Flatpaks is especially useful on LMDE because Debian's applications are around two years old now, and we may want newer versions. The versions of the QupZilla browser and LibreOffice, for example, are quite a bit out of date compared to most other desktop distributions and being able to use Flatpaks gives us up to date versions without risking problems through backported packages. While mintInstall worked well for me, if we want to access lower level packages and libraries we will want to use Synaptic, the older, more traditional package manager that is included with Mint. Synaptic worked well and was able to install, remove and upgrade packages without any problems. The distribution ships with a collection of popular applications, including the Firefox web browser, LibreOffice, Thunderbird, the HexChat IRC client and the Transmission bittorrent client. Pix and the GNU Image Manipulation Program are included for viewing and editing images. Rhythmbox, VLC and Xplayer are featured, along with media codecs we can optionally install from the welcome window. There are several system utilities for performing backups, setting up printers and managing user accounts. Java is included and the GNU Compiler Collection is installed for us. LMDE 3 uses the systemd init software (LMDE 2 used Sys V init) and the distribution runs version 4.9 of the Linux kernel. Mint ships with a fairly standard settings panel which presents icons for configuration modules in a grid. Using these modules we can change the appearance of the desktop, adjust visual effects, manage widgets and configure the screensaver. Tools for managing the underlying operating system are also included. These tools help us manage user accounts, configure the firewall, set up printers and manage which programs run when we login. Each of the configuration modules worked for me and I encountered no problems. There were a few items I felt worthy of mention. For example, I like that start-up programs can be assigned a delay. For example, the update manager does not load and check for new packages until we have been signed in for 20 seconds. This is a great way to have some components load later, making the desktop responsive sooner, even when lots of components are being run. I also liked that Cinnamon is set up to not remember recently accessed files by default in the privacy module. Having the screensaver not start until we have been inactive for 15 minutes is also a default I appreciate; in my opinion too many distributions set the delay for too short a span. Notifications can be turned off, which is a feature I rarely use, but appreciate having for those days when I really don't want distractions. One feature which I felt was missing was a driver manager for third-party drivers. I think gamers in particular would appreciate being able to quickly access alternative video drivers. 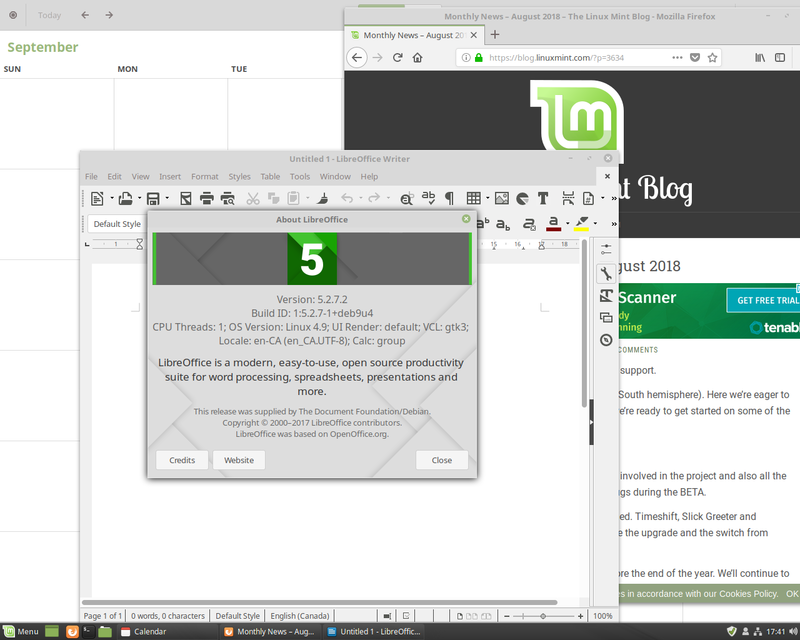 Earlier this year I reviewed Linux Mint 19 and I was curious to see what differences I could find between the Ubuntu-based flavour and the Debian-based one. Perhaps the most obvious difference is the Ubuntu-based branch offers three editions (Cinnamon, MATE and Xfce) while the Debian edition offers Cinnamon only. We can install an alternative desktop later, but by default we run Cinnamon. Memory usage was quite a bit higher for me when running the Debian branch with Cinnamon, compared to my time with the Ubuntu branch running MATE. 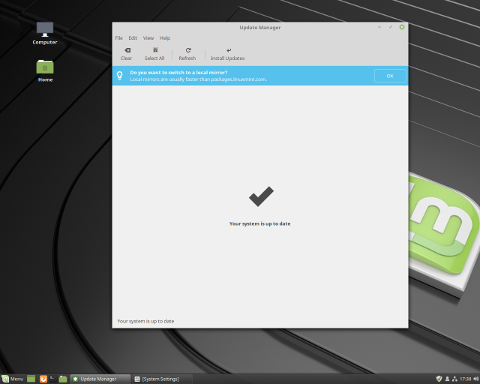 In Linux Mint, the Synaptic package manager has the button for marking all available upgrades patched out, encouraging people to use the separate update manager. On the Debian edition Synaptic has the “mark all upgrades” button. The Debian edition has its own system installer. This has little practical effect, but it does look slightly different, particularly in the disk partitioning section. The Debian branch has slightly older software, compared with the Ubuntu branch. LibreOffice, for example, is a few versions behind. The Debian edition has an older kernel too. In general, though LMDE 3 is a new release, its software is likely to be nearly a year older than what we find in the Ubuntu branch. We can work around this in some cases by using backports or Flatpak packages. However, unlike the Ubuntu-branch, we cannot use Ubuntu PPAs in the Debian branch to get up to date packages as the two editions are not binary compatible. These differences aside, the two branches of Mint are surprisingly similar. The same look and feel are there. Both branches include mostly the same applications and the same system tools. For most practical purposes people are unlikely to notice which edition of Mint they are running, unless they need a specific version of an application. On the whole, I liked running LMDE 3 a lot. The distribution was easy to set up, I liked the quick access to common tools in the welcome window. The change from ranked upgrades to having the system safeguarded by Timeshift snapshots may make things a little harder for newcomers (it's harder to recover a system than to not have it break in the first place), but the new approach probably offers better security in the long run. One thing I appreciated about LMDE 3 is that it looks beautiful. I usually don't focus much on a theme, or icon style, but Mint looks incredible to me. Everything is high contrast and attractive. The fonts are a little thin for my taste, but this can be easily changed with a few clicks in the settings panel. I would have preferred if LMDE had shipped with MATE instead of Cinnamon. I realize Cinnamon is an in-house desktop project and it makes sense for the Mint developers to focus on using and promoting Cinnamon. However, since I suspect many of the people who want to use the Debian branch over the Ubuntu branch will be doing so for performance reasons, I think MATE would make the sensible default. MATE is lighter than Cinnamon, does not require special video driver/hardware support and will run better in virtual environments. Cinnamon is a solid desktop and I think it looks and performs wonderfully on physical hardware, it just doesn't feel like the optimal choice for people who want to run the lighter, more conservative Debian branch of Mint. On the whole, the above points are minor style preferences for a distribution that I was impressed by. Mint's Debian edition performed smoothly, offered a lot of great software out of the box and was easy to use. I think the Debian branch might be slightly less appealing to beginners than the main, Ubuntu-based edition, but there are few practical differences and most people will probably find either branch works for them. I think LMDE will be a good fit for most people, whether beginners or more experienced users. Linux Mint has a visitor supplied average rating of: 8.7/10 from 833 review(s). Members of the Arch Linux team took to Reddit this week to talk about their rolling release operating system and answer questions. The Arch distribution is not only a popular operating system on its own, there are many distributions based on it (we currently track over 20 Arch-based projects). The Arch team mentioned in the Reddit discussion that the project is looking for more contributors. The Mageia team published a blog post with a few important updates. One news item is that Mageia 5 is no longer being supported. As Mageia 5 will no longer receive security updates, users are advised to upgrade to version 6. The team also reported that the next release of Mageia, version 6.1, will have fewer download options: "Work on the 6.1 release is ongoing, and we hope to make an announcement really soon; in the meantime, we can let you know that no classical ISOs are planned, simply the live CDs and net-install." Seeking-a-solid-file-system asks: I'm considering replacing my laptop's HDD for a SSD. However, I'd like to know the current state of development of Btrfs, XFS, ext4 and even ZFS for Linux. In short, is it still better (for a home/office user) to keep using ext4 or are other file systems are already mature enough to give them a try? I'd like to keep my data safe, but I'd also like to get the better performance and longevity for a SSD disk. In addition, I've read somewhere that while using a SSD I should not have a swap partition. Is this true? DistroWatch answers: Each of the file systems listed (Btrfs, ext4, XFS and ZFS) are mature and should be stable on any modern Linux distribution, at least running in a laptop. Btrfs has (reportedly) some lingering issues in RAID environments, but that is not going to affect most people. That being said, I typically recommend people stick with their distribution's default file system unless you know you have a specific case where another file system should be used. For example, if you feel you really want to use file system snapshots, then go ahead and set up a Btrfs volume. Or if you need to transfer file system snapshots between multiple operating systems then ZFS makes a lot of sense. But if you do not have a particular use case in mind, then I suggest sticking with whatever file system your distribution recommends. (Usually this is ext4 on most Linux distributions, Btrfs on openSUSE and XFS on the Red Hat family of distributions.) None of these file systems is particular suited for (or a poor match with) SSDs. Moving on to the swap space question, I think it is worth looking at where the advice against using swap on SSDs came from. When SSDs first hit the market one of the big drawbacks was that storage areas of an SSD could wear out after being written to a certain number of times. This meant that the operating system would need to work around burned out areas of the storage device. For most files this was not a big problem, but if a file system kept using the same specific area of the SSD over and over, that section of the SSD could be worn out. This was considered a problem for file systems that used a journal, for example, because the journal is written to the same place on disk each time. This gave rise to the idea that SSDs should not be used with journaled file systems, swap space or other region-specific tasks. However, over the years SSDs became more resilient and could be written to for years before burning out. Burning out an SSD has not been a serious concern for at least a decade. Even with enterprise-level workloads, SSDs will last for years. In short, don't worry about how you use the SSD, its endurance should be about the same as a spinning hard drive's. Specifically on the topic of swap space, the advice you read was backward, in my opinion. Since reading from random locations on an SSD is faster than from a spinning drive, SSDs are ideally geared toward being used for a swap partition. Samuel F. Baggen has announced the release of Elive 3.0.0, a major update of the project's Debian-based distribution with a customised Enlightenment 17 desktop user interface. This version is based on the 32-bit variant of Debian 7 "Wheezy" and, unlike the previous stable version (2.0, released more than eight years ago), Elive 3 is free of charge and unlimited in any way: "After 8 years of silent development, the third stable version of Elive is out. The result is simply amazing and the integration is gorgeous; it is not even possible to describe every inside feature. The new website only contains a small portion of its characteristics. Unfortunately not everything is rainbows and perfection and the lack of resources delayed the release being too much. This has lead to old packages and drivers, but despite that, the final result is really worth it. Elive 3.0 is the most useful system ever made, perfect for the daily use, rock solid, beautiful and full of hidden features, with every effort to make it usable for any user level. This version is most powerful, maintaining its lightness in resources and a blazing fast responsiveness. And even better, the final stable version is entirely cost-free and limitless, with all its features." See the release announcement for further information. Lorenzo "Palinuro" Faletra has announced the release of Parrot 4.2.2, the latest stable version of the project's a GNU/Linux distribution based on Debian's "Testing" branch and focused on penetration testing, digital forensics, programming and privacy protection: "We are proud to announce the release of Parrot 4.2. It was a very problematic release for our team because of the many important updates under the hood of a system that looks almost identical to its previous release, except for a new background designed by Federica Marasà and a new graphic theme. Parrot 4.2 is powered by the latest Linux 4.18 Debianized kernel with all the usual wireless patches. A new version of the Debian installer now powers our 'netinstall' images and the standard Parrot images. Firmware packages were updated to add broader hardware support, including wireless devices and AMD vega graphics AppArmor and Firejail profiles were adjusted to offer a good compromise of security and usability for most of the desktop and CLI applications and services." Read the release announcement for more information and screenshots. Cameron Shorter has announced the release of OSGeoLive 12.0, a major new update of the project's specialist Lubuntu-based distribution featuring a large collection of open-source geospatial software and free world maps. This version updates the underlying operating system to Lubuntu 18.04: "Version 12.0 of the OSGeoLive GIS software collection has been released. It was distributed at the International Conference for Free and Open Source Software for Geospatial (FOSS4G) in Dar es Salaam, Tanzania. Highlights for this release include: updated to Lubuntu 18.04 long-term support (LTS) release; adopted Transifex Translation tool and made our documentation generation process more efficient; version updates to many of the included packages. OSGeoLive 12.0 includes: includes: close to 50 quality geospatial open-source applications installed and pre-configured; free world maps and sample datasets; project overview and step-by-step quick-start for each application; Lightning presentation of all applications, along with speaker’s script...." Read the rest of the release announcement for more information and related links. In this week's Questions and Answers column we talked about solid state drives (SSDs), file systems and their evolution. We would like to find out how many of our readers use SSDs as opposed to classic spinning hard drives. If you are using a SSD in your computer, please let us know which file system you run on it in the comments. You can see the results of our previous poll on open versus proprietary video drivers in last week's edition. All previous poll results can be found in our poll archives. We would like to thank Muhterem Demiray for working to update our Turkish translation. This will hopefully make DistroWatch, its key pages and menus, easier to navigate for our Turkish readers. Drauger OS. 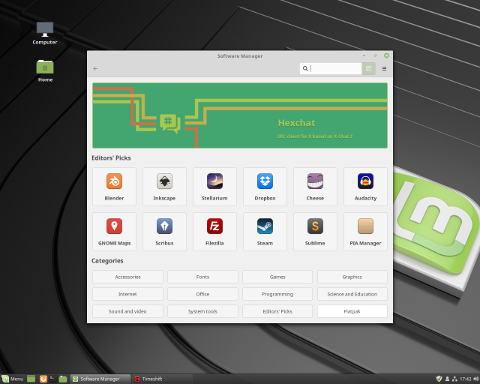 Drauger OS is a Linux desktop gaming distro. It comes with Steam pre-installed, along with PlayOnLinux and several other enhancements, such as the Liquorix low-latency Linux kernel instead of the standard generic kernel, a customized Xfce desktop, several other added features and speed improvements.